If your dog loves a road trip, gets excited every time they see you’re heading for the driveway and simply can’t wait to hop on in to the car, then you’re definitely going to want to give the brand new competition from The Car Buying Service a go. Enter a picture of your eager ‘Pooch Passenger’ and you could win a £50 Pets at Home voucher so you can spoil your furry travel companion with a treat or two. Take part in the competition and you’ll not only be in with a chance of winning this top prize, but you’ll also be doing your bit for charity too, because The Car Buying Service will donate £1 to Manchester Dogs’ Home for every pic they receive. 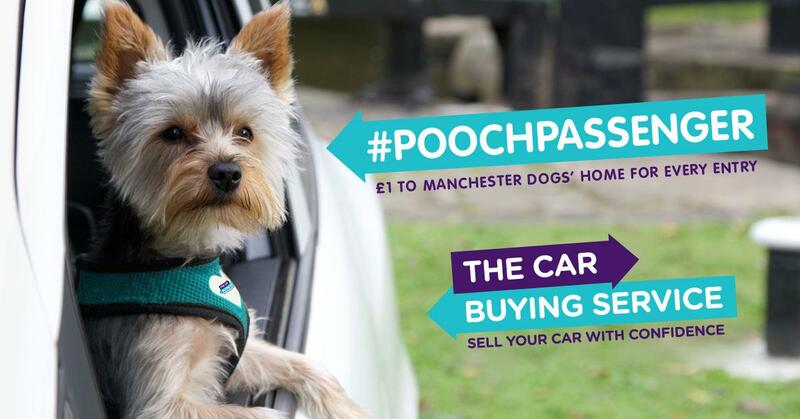 Entering’s easy: just take a quick snap of your dog in the car – the more creative the better (nothing dangerous, though, of course) – then share the picture publicly on Twitter or Instagram using the hashtag #poochpassenger. Want some inspiration when it comes to creating your pic? Then take a look at the special #poochpassenger page where you can see all the entries that have been submitted so far; once you’ve sent in your image, it’ll be displayed there too.